Lacrosse is making great strides in it’s popularity and growth at the grass roots level. Participation numbers are rising and it is becoming a booming sport, with lacrosse being expanded into the high schools and being played in almost all fifty states in the United States and in ten provinces in Canada. However, it still has many obstacles and hurdles to overcome. Finding where the next box lacrosse markets are going to be for the NLL Pro League and making them stable, has been a difficult task, over the past number of years. The losing of the Philadelphia market after 28 years borders on shameful and very unfortunate. 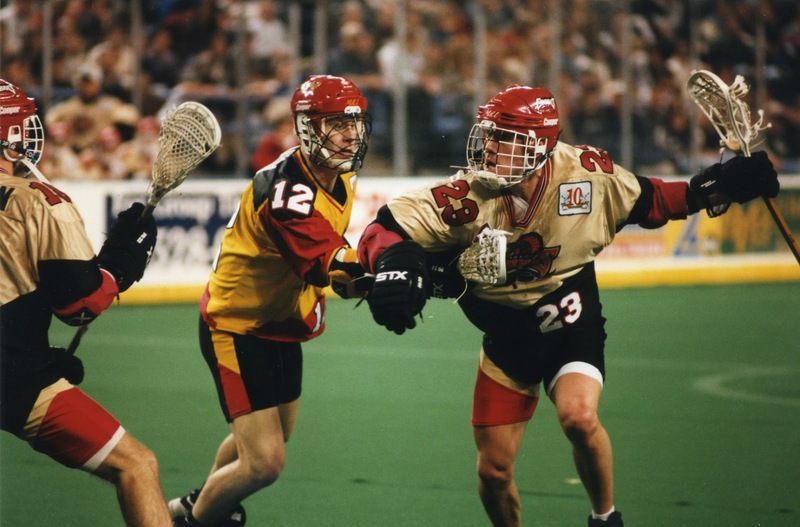 The touchy question is whether pro box lacrosse can thrive in well established field lacrosse markets. Many field purists find the box game too violent or vicious and therefore have a disdain for pro box game. 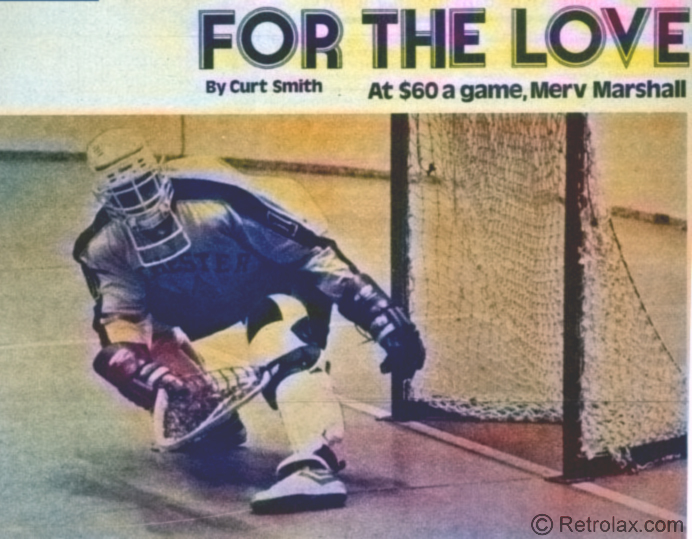 Most of the successful box markets have come from the NHL hockey markets that the 1974-75 league ventured into. The NLL pro league in many ways is still a league without a season. The biggest myth for many lacrosse followers is that the pro league is played in the winter to avoid the hot summers. The real reason it began to play in the winter was to get the the American field player to play the box game. It presented itself as a winter league, to get the American field player to play, in the pro game. ​They wouldn’t play in the summer because it interfered with their outdoor field season. They barnstormed in the winter to get the American players to play in the newly created the Eagle Pro League (1987) and the MILL (1988-1998). It’s rather ironic that they switched the game to the winter months to get the American field player to play, but almost the exact opposite has occurred. As it stands, the current NLL may have only 3-5% Americans playing in the league. 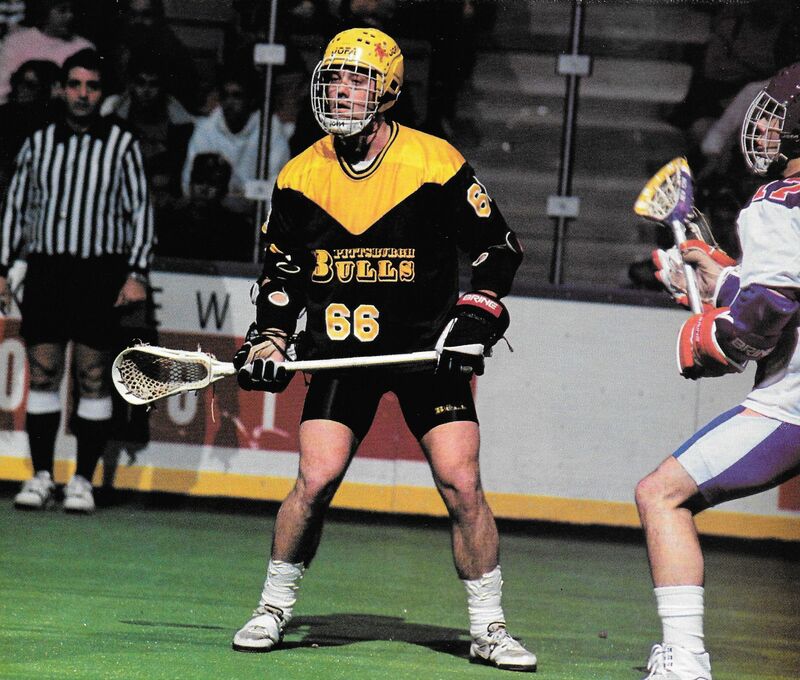 ​The NLL is made up up with about 95% Canadians playing in the NLL pro league while the outdoor pro league has probably 98% Americans playing in the summer. The sport has a great future and with a little luck it can get to the level of a legitimate major league sport and not a niche sport of the 90’s like indoor soccer and arena football. 1. Lacrosse in Canada can be a difficult choice because it competes with hockey for the best athlete. It is also getting competition from other sports as well such as basketball, soccer and baseball. 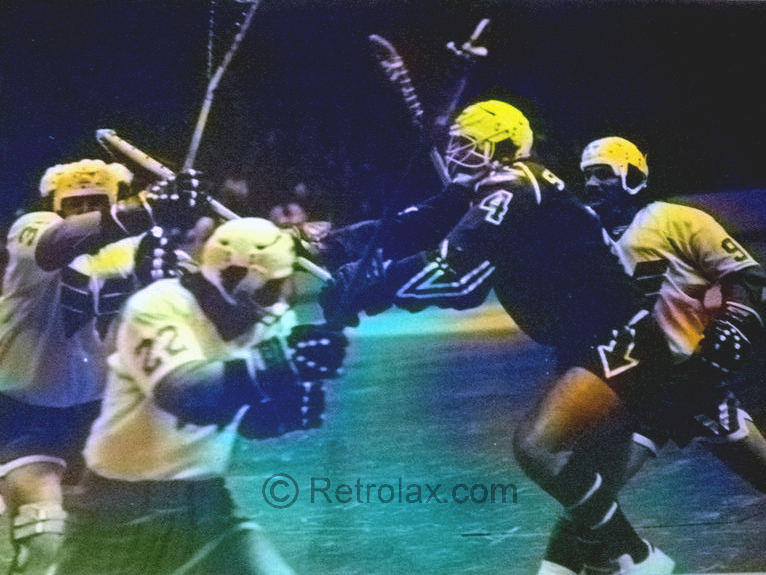 Those who have a hockey career are often forced to quit lacrosse by bantam or midget. The American player doesn’t have to compete with the hockey hotbeds to get it’s players. 2. In Canada, box lacrosse players play for trophies. Youth players hope to develop into Junior and Senior box lacrosse players with the chance to one day play for the iconic trophies that were established in the early 1900’s. 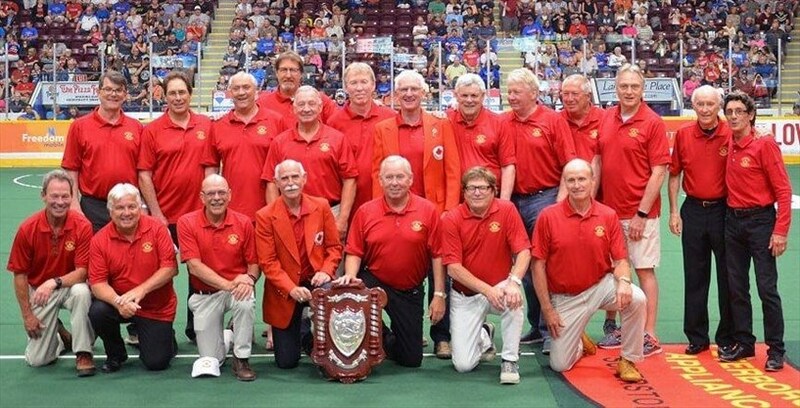 The “Minto Cup” is awarded annually to the top Junior team in Canada that captures the national championship while the Senior or Major Series players vie for the “Mann Cup,” symbolic of the Canadian National Senior Championship. 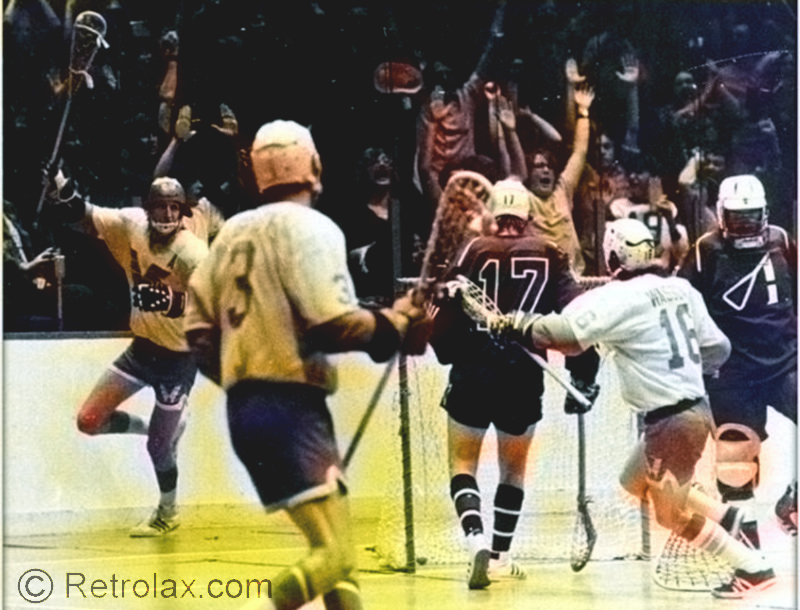 It is lacrosse’s equivalent to the “Stanley Cup.” Box lacrosse leagues in Canada stem from a hockey based format. Schedules have a 20-30 game season when you include play-offs and have a play-off format whereby you play a four out of seven series through quarterfinals, semi-finals and finals before moving on to play for a national championship. That often requires players to play 23 games in 30 nights over the long haul. 3. In the United States players play for the eventual hope of obtaining a four year scholarship to a reputable school if there abilities can take them that far. 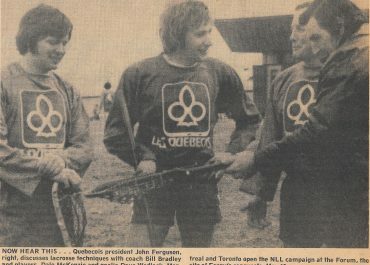 Since Canada’s capture of the 1978 World Field Lacrosse Championship and it’s foray back into field lacrosse participation internationally, the elite Canadian not only tries to play and win the iconic trophies in Canada but to also obtain a four year scholarship to a reputable school in the United States and combine his education with that of playing lacrosse. 1. The biggest dilemma facing lacrosse in both Canada and the United States is the polarization or the game. The two factions of lacrosse (the field purists) and the (box purists) only would look out for themselves to the detriment of the game. 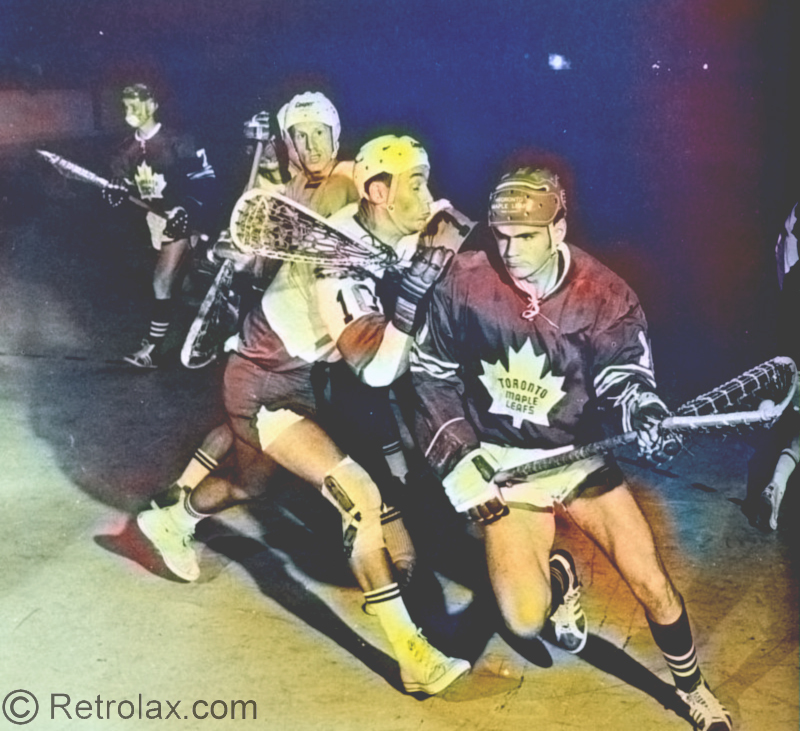 With Canada capturing three out of the past four major world championships, it looks like both sides may be finally getting together to “homogenize ” the sport for the first time in over 80 years since the advent of box lacrosse in Canada in 1932. 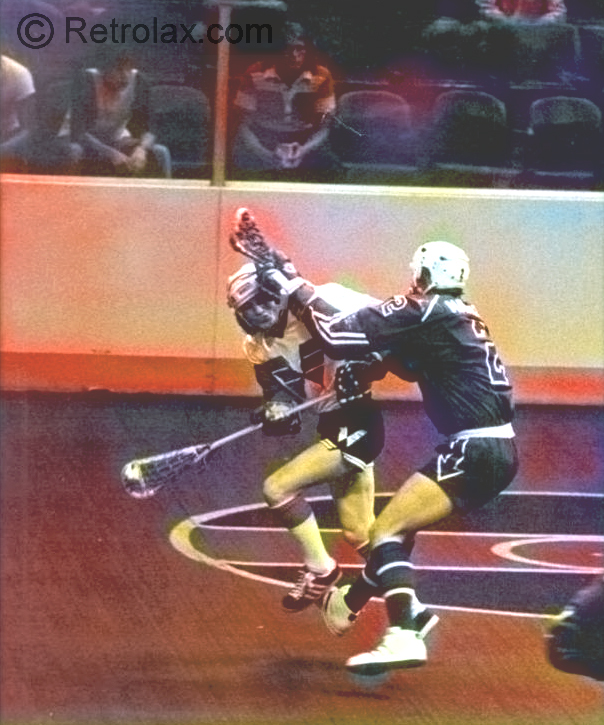 Until these past few years field lacrosse has never wanted to adapt or embrace the qualities of box lacrosse without feeling threatened. A wonderful book to read by Donald M. Fisher (Lacrosse “A History Of The Game) gives testimonials of an 80 year disdain for box lacrosse. 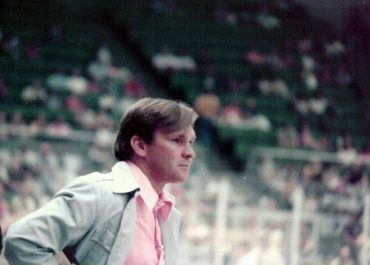 Through his research he goes into the history of box lacrosse and the first pro league that ventured into the USA with the creation of the American Box Lacrosse League (ABLL) in 1932 that used the pro ball parks of Yankee Stadium and Fenway Park in Boston. One of the biggest dramatic changes to the game of field lacrosse for the Americans is that they have to start to rethink their infrastructure. Leading the way are the likes (John Desko, Dom Starisa, Bill Tierney and Matt Brown.) 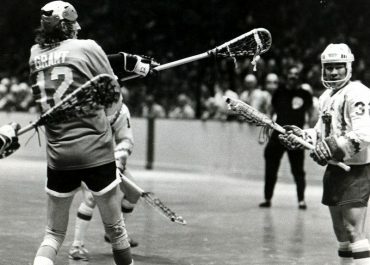 all of whom have ties back to the 74-75 NLL with both Dom Starsia and Bill Tierney playing in the league. With the advent of Canada capturing three out of the four major world championships in the past year (World Field, World Box, and Women’s U19) many field purists are now seeing the benefits of starting and teaching box skills. 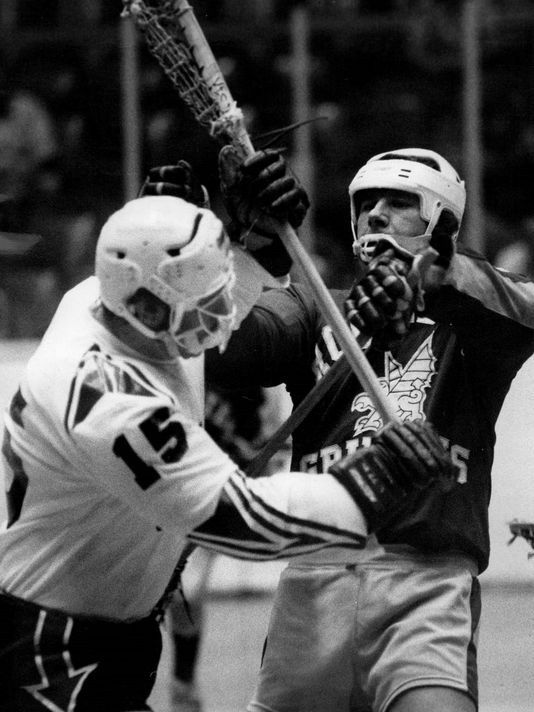 Because of this the USBOXLA may finally be getting some credibility as well as enthusiasm for taking up the box game. 1. With the advent of the outdoor pro field league we are seeing a saturation of leagues. Not only are the two leagues competing for and using the same players but their leagues are also overlapping into each others seasons. It is thereby causing key players having to divide their services between two leagues and two teams at the same time. 2. The NLL and Pro Lacrosse in general needs to get national media attention. 3. Recognition to the Canada U19 Girls world championship from the media was a disgrace. 4. Exporting the Game. (World Box/Field) The 2015 WILC did a magnificent job of selling lacrosse to the world “Bringing The Game Home” with the games next mega superstar Lyle Thompson. 5. What’s stopping lacrosse from being a Major League Sport. Why can’t lacrosse get itself legitimized on nightly media coverage such as TSN, ESPN, Fox, etc, as a legitimate sport. Great coverage out of Syracuse, on the WILC, but not one major networks picks up the story and carries it, nor do the national newspapers. Lacrosse keeps preaching to the converted. It has to get outside of preaching to the converted and only reaching lacrosse people who are already sold on the game. The outdoor field has a leg up on the NLL as far as getting national media attention or at least regional media attention with it’s ESPN or TSN feeds. 6. Can we have two pro leagues competing for the same players. Which has the better chance of becoming a major league spectator sport that can get a national TV contract and coverage. 9. 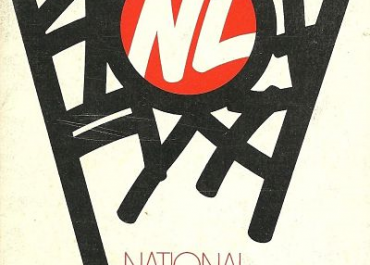 The league that “should have been and that should never have folded”. The business model to get pro lacrosse from being a niche sport to a legitimate major league sport. What are the obstacles. 2. Millionaires with deep pockets. 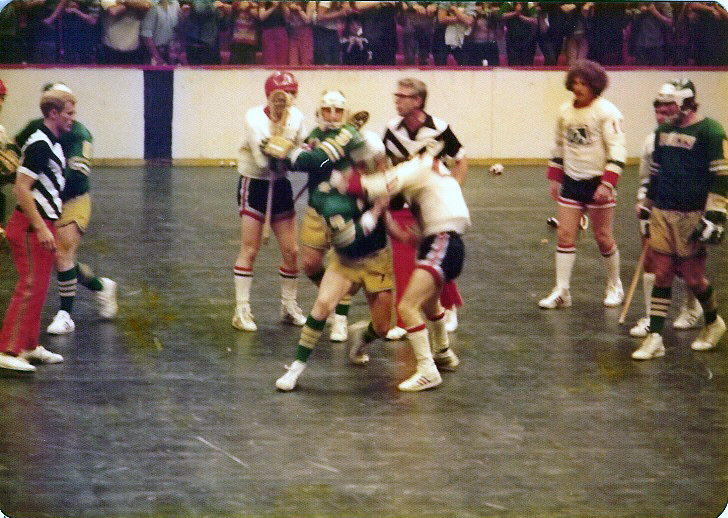 The current pro leagues are only finding out what those from the 74-75 NLL knew 40 years ago. The pro leagues of today are trying to work their way back to that level. Good luck with that.